The California Association of Resources Conservation Districts (CARCD) recognizes that a diversified outreach approach is vital for broader adoption of conservation practices and enrollment in vital agricultural programs, especially those administered by the USDA Natural Resources Conservation Service (NRCS). Adequate resources and support networks to ensure the success of historically underserved and minority farmers are currently lacking. CARCD believes that we are faced with an unprecedented opportunity to engage authentically and intentionally with underserved communities, and that outreach to minority demographics of producers should be inclusive and tailored to account for racial, cultural, and socioeconomic differences that affect access to resources and programs in California’s agricultural sector. CARCD expands the definition of historically underserved producers to include women farmers, LGBTQ farmers, and veteran farmers. NRCS has partnered with CARCD on an Outreach to Historically Underserved Farmers pilot program, which offers “mini-grants” for outreach of up to $2,000 for non-profits and Resource Conservation Districts (RCDs). 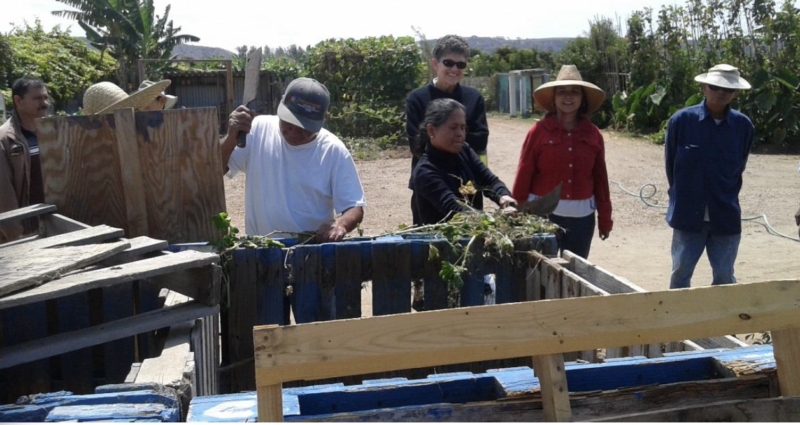 In eligible underserved communities, CARCD distributes mini-grants to appropriate sub-contracted RCDs and other non-profits for inter-agency and multi-partner outreach projects including workshops on composting and soil/water management, providing workshop interpreters and translation of conservation materials, urban farming in low-income communities, and developing beginning farmer and gardener resources. This project supports educational activities, development of outreach and educational materials, workshops, field days and demonstrations, and other opportunities to expand conservation awareness and participation to all. In the first iteration of the project, over 300 people received immediate benefit from this coordinated outreach effort and individuals have continued to be reached as publications continue to be distributed. Recipient geographic range covered the entire state, urban and rural areas, and all 4 NRCS Service Areas. Underserved demographics that have been reached include low-income, Hmong, Spanish-speaking, Korean, and beginning farmers and ranchers. Created and distributed outreach materials in Spanish and English for the official opening of the North Richmond Farm. Hosted a booth at the event to open a dialog on urban conservation and distribute literature to urban farmers and other engaged stakeholders. Created a 20+page workbook on water conservation, irrigation design, soil health and erosion reduction information. Collaborated with Cal Poly Irrigation Training and Research Center led a two-day Irrigator Certification workshop in Spanish. Booklet lays out BMPs for small farmers focusing on protecting and improving watershed resource conditions in the Amador and surrounding counties. Topics include: Soil health, Waste management, Invasive plants, Tree mortality, Fire preventions, and more. NRCS recently renewed its contract with CARCD for Outreach to Underserved Farmers and Ranchers and the project is currently in its second round of funding. Quality projects are sought that will result in tangible, documented outcomes. However, given the small size of these grants, it is intended that they will provide a modest infusion of resources to support a broader outreach strategy. Over 500 producers have been served and $20,000 expended since this program began Spring 2016. The current round of funding is closed. Please check back at a later date or sign up for our eNewsletter on our homepage for announcements.